When my husband and I perform a marriage ceremony, I always read this portion of Scripture to the bride and groom. If we would all practice this passage on a daily basis, we would live peaceful and productive lives. However, our flesh often gets in the way. Instead of ignoring injustices that are done to us, we want to get even. Instead of walking in love, we want to repay evil for evil. 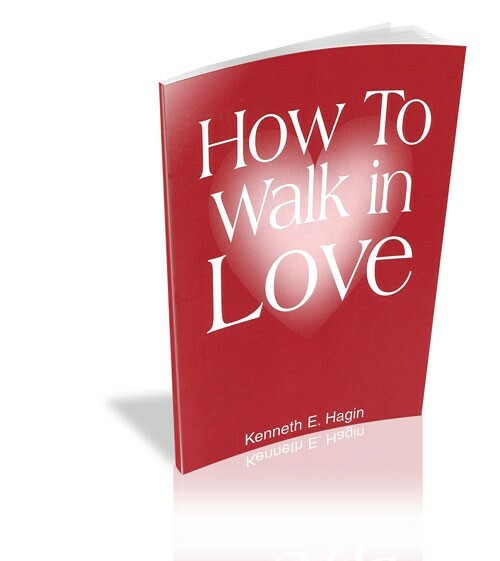 One of the things I witnessed in my father-in-law’s life was that he truly lived the love walk. He never considered getting even. At times, my husband and I got exasperated when we heard others criticize and say hurtful things about our family. Sometimes we expressed our feelings to my father-in-law. He would say to us, “Don’t ever stoop to their level; always walk the high road.” I still hear those words ringing in my ears when I’m tempted to walk the low road and return evil for evil. I’m reminded of the story about a woman who was complaining to her husband that he never told her he loved her. The husband replied, “I told you I loved you when I asked you to marry me, and if I ever change my mind, I’ll let you know.” We should not be like that husband. Instead, we should say the words “I love you” freely. My husband and I tell each other that we love one another many times a day. And I often tell my children and grandchildren that I love them. I believe those are important words to say. We all need to be reassured of the love others have for us, and we need to reassure others of our love for them. Some of you may not have heard those words very often in your childhood, and some of you may find it awkward to say, “I love you.” But I encourage you that if you’ll start saying, “I love you,” those words will become easier to say and more natural to you each time you repeat them. I encourage you to not take your friends and family for granted, but to express your love and appreciation for them on a continual basis. Don’t live with regret after the death of a loved one, wishing you had expressed words of love to them more often. Decide today that you will walk in love and that you will express words of love to your family and friends. Learn how you can walk in divine love and how to experience the great rewards that come from obeying the law of love.